Ahead of GDC 2019, Valve has quietly released an 'early beta' of Steam Link Anywhere. Most HEXUS regulars will already be aware of Steam Link (and the earlier hardware-only solution) which facilitates Steam gaming on the same local network as your Steam library packing PC. 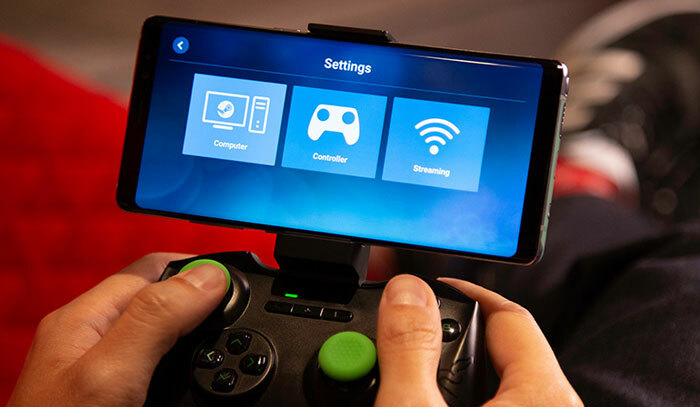 As the name implies, Steam Link Anywhere expands the range of this feature to any Android or Raspberry Pi which is connected to the internet, anywhere. Add a computer and select "Other Computer"
Valve indicates that users should enjoy a satisfactory experience as long as "your computer has good upload speed and your Steam Link device has a good network connection". However, it warns that this is an early beta release so the experience isn't going to be without some speed bumps. Currently the partnering Steam Link app is available for Android phone, Android TV, and Raspberry Pi. Valve is expected to be looking for some way to allow iOS and Apple TV owners to hook up too. Streaming technologies and announcements might be a big thing at the upcoming GDC. Microsoft recently showed off its Project xCloud running Forza Horizon 4. Perhaps more pertinently, earlier this week Microsoft updated its Wireless Display app to let you seamlessly stream PC (or Android content) content, including games or photo collections, to your TV through your Xbox One. This could be an interesting app for Xbox users who have a collection of PC games that they don't mind playing with a controller. Last but not least, Google has been teasing some games streaming announcement for GDC next week. Furthermore, it has been spotted that the search and advertising giant is adding Nintendo Switch controller support to Google Chrome.